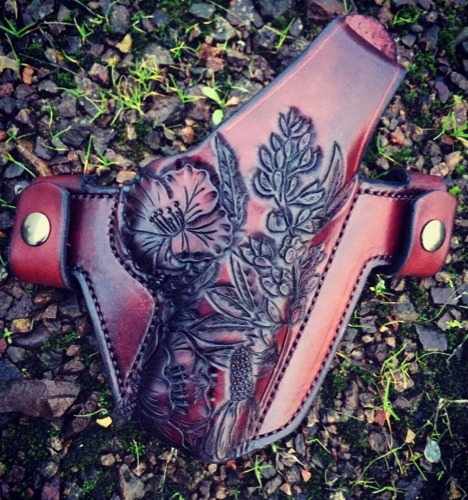 The Soteria Floral 'Texas' Custom Holster by Soteria Leather features flowers from Texas. 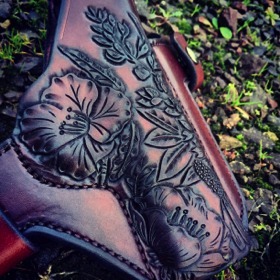 You will find included in the design, Bluebonnets, Pink Evening Primrose, and Mexican Hat flowers. 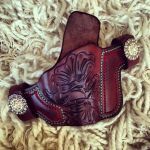 This custom holster is the 'Thrasos with Body Shield' featuring a beautifully crafted hand-tooled design. 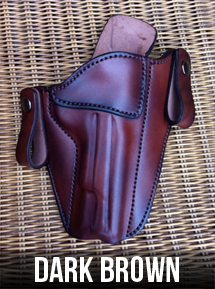 As with all of the custom holsters from Soteria Leather, the holsters are efficient and beautifully constructed. 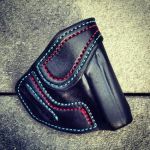 See note below regarding the Thumb Break -- not standard! 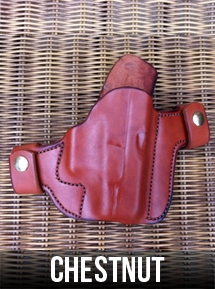 The 'Thrasos with Body Shield' Custom OWB Holster by Soteria Leather is a favorite handgun holster because of the holster belt straps and the body shield comfort. 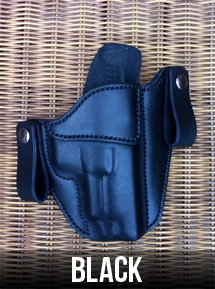 This concealed carry holster is available for the following weapons, and probably more. 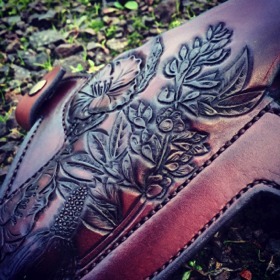 Please check the "Weapon Options" for a complete list.